A second possible piece of debris from missing Malaysia Airlines flight 370 was found Sunday on the island of Reunion in the French Indian Ocean, AFP reported. 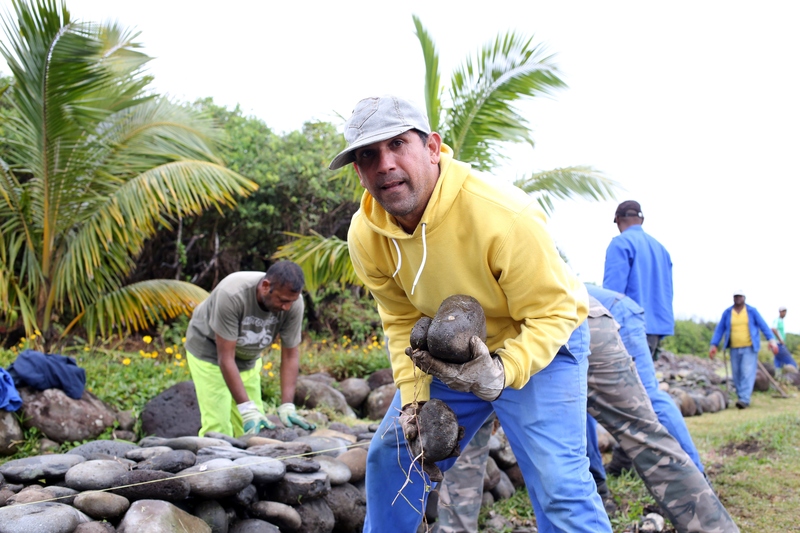 Reunion island resident Johnny Begue told AFP he'd given police a second item he had found on the beach and believed to be debris from the missing airliner last Thursday. If Begue's name sounds familiar to you, it's because he found another piece of MH370 — the only piece of wreckage to have been confirmed as belonging to the missing airliner — last year. Begue found a wing fragment known as a flaperon while cleaning a beach July 29 that was later identified as a piece of MH370, the passenger jet that made global headlines after it disappeared with 239 people aboard on March 8, 2014. It's not clear yet if this second object is also a piece of MH370, but Begue told the Associated Press it looked very similar and had been discovered in nearly the same location as the first. "It looks like the other one, but I don't know if it's part of the plane or not. Experts will say," he said. The object will likely be examined by local authorities to determine if it should be sent on to French investigators for further evaluation as possible MH370 debris, ABC News reported. Begue's second find comes just days after amateur investigator Blaine Gibson found a piece of airplane debris in Mozambique that Malaysian Transport Minister Liow Tiong Lai said had a "high possibility" of being from a Boeing 777 like that of MH370. Tuesday will mark two years since MH370 mysteriously disappeared while en route to Beijing from Kuala Lumpur International Airport. With 26 countries participating, the international search effort for MH370 quickly became the most costly hunt in aviation history. At least $44 million was spent on aircraft and ships combing the Indian Ocean and South China Sea for wreckage. Families and friends of MH370's passengers held a remembrance service in Malaysia over the weekend to mark the second anniversary of its disappearance and asked authorities not to give up the search for the missing jetliner.